In my previous post about Bara Imambara I have mentioned the beginning of renaissance in Lucknow with the patronage of Nawab Asaf Ud Doula. After his demise in 1797, the successors Nawab Wazir Ali Khan, Nawab Saadat Ali Khan II, Nawab Rafa’at-ud-Daula, Nawab Abul-Mansur Qutb-ud-din Sulaiman Jah carried the baton of but they were more interested to build office and residential places. 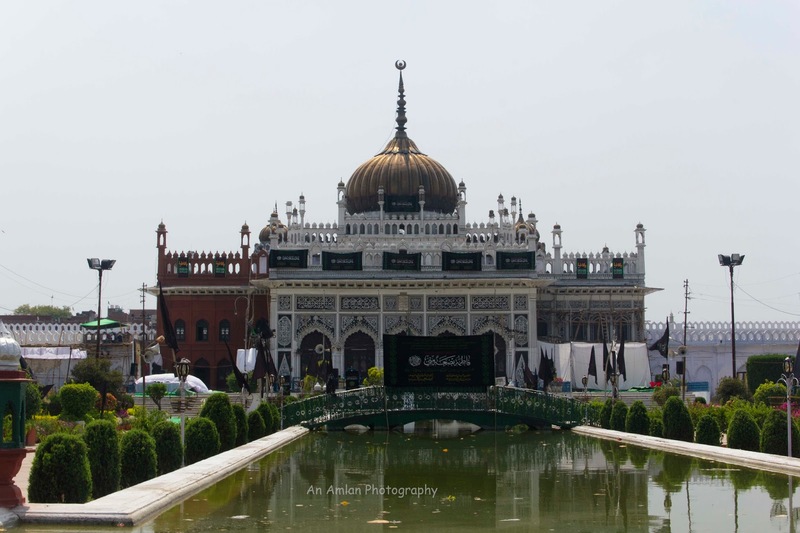 When Nawab Muhammad Ali Shah ascended to the throne, he decided to build another remarkable structure like Bara Imambara. He was as ambitious as Nawab Asaf Ud Doula and thus patronaged to construct Chhota Imambara. Nawab Muhammad Ali Shah’s intention was not to challenge Nawab Asaf Ud Doula, rather he added drove the engine of cultural excellence that his predecessors started. 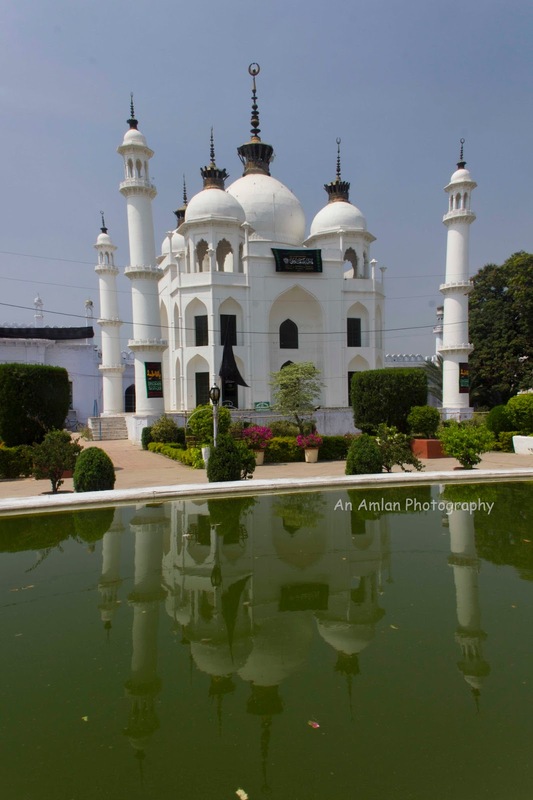 Dear readers, let’s now explore Chhota Imambara, Hussainabad Tank, Clock Tower, Picture Gallery that you can visit with the same day of viewing Bara Imambara. As discussed in my previous post about Bara Imambara, you need to take a Tonga and visit to Chhota Imambara by crossing Rumi Darwaza. Please do not issue a new ticket. The same ticket for Bara Imambara is applicable here. Right after crossing the main gateway of Chhota Imambara, you have reached to the main courtyard. Though there are several other gateways but only the north gate is open for tourists. Now, a water channel is in front of you. 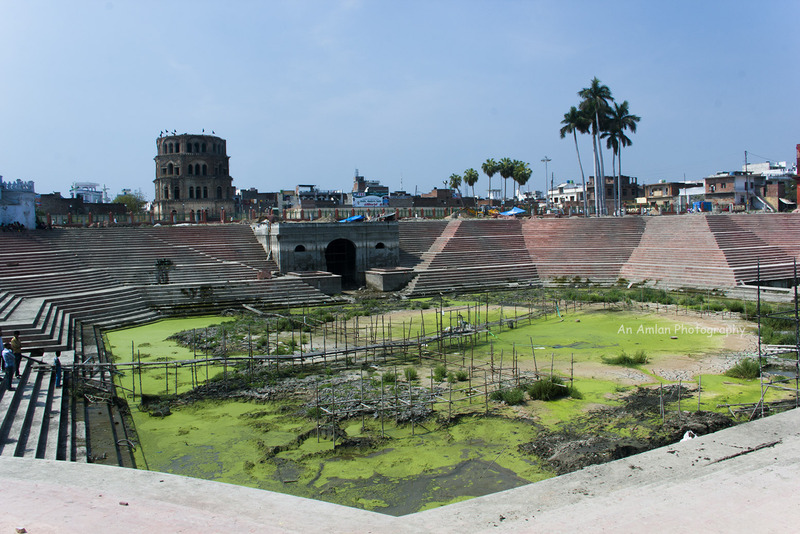 The imambara is opposite to you after the channel and can be approached by both sides of the channel. Two mousolla are built on the both sides of the channel. A small mosque can also be found on the north-west corner of the complex. Hammams can be found on the west side of the tank. The guide will explain you the pipes for hot and cold water. I got surprised to see the progress of science and technology during that time. Now you would approach to the Imambara. 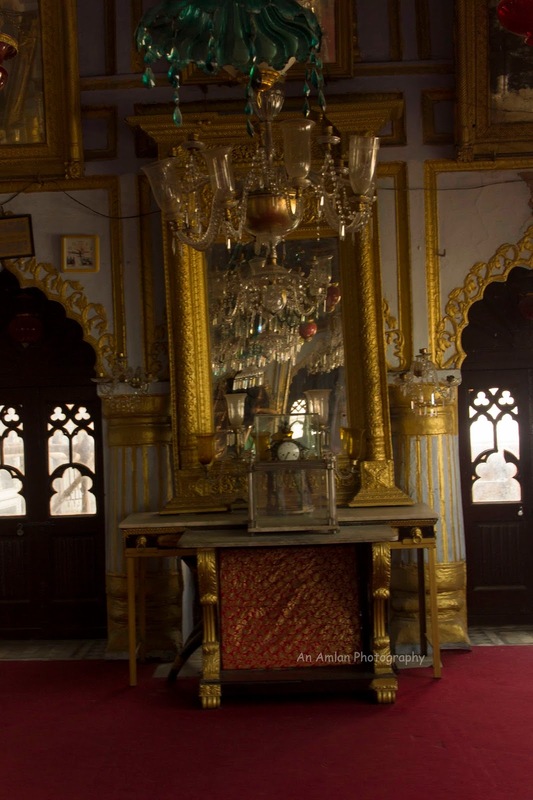 ChhoTa Imambara or Hussainabad Imambara consists of seven main chambers. The southern wall of main chamber has the Shem Shashan so Tazia is kept on it. The east and west wall have small rectangular chambers. 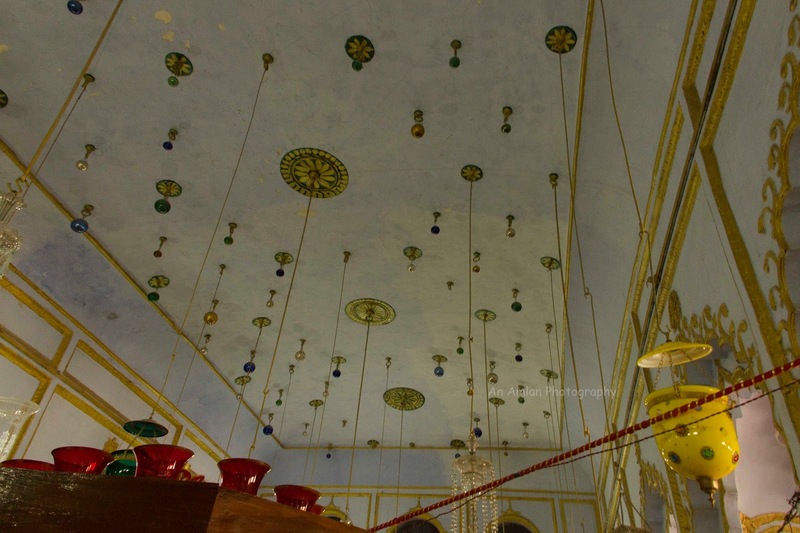 As usual the Shem-Sheren is decorated to display Zari, Alam, Tazia, Panja, Patka and other ritual objects. Along with the Shem Sheren, the main hall is decorated with costly mirrors of Belgian glass, paintings, photographs, chandeliers etc. 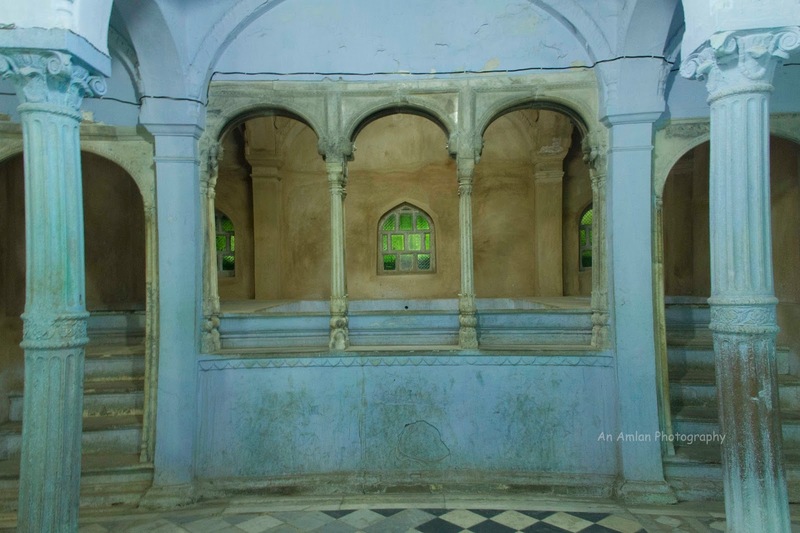 The tombs of Nawab Mahmud Ali Shah and his mother are inside the main hall. Dear readers, after Chhota Imambara, let’s see two other monuments located just opposite to it. Hussainabad Tank was built in the regime of Nawab Mahmud Ali Shah. The polygonal water tank is flanked by Baradari (Picture Gallery) Clock Tower and ruins of Satkhanda. When I visited, Husainabad Tank was under renovation. Satkhanda is located on the north to Hussainabad Tank and some historians think that it was built to observe moon during the holy month of Ramzan. Picture gallery or Baradari was constructed by Lakhuri Brick. When I visited there, it was closed. 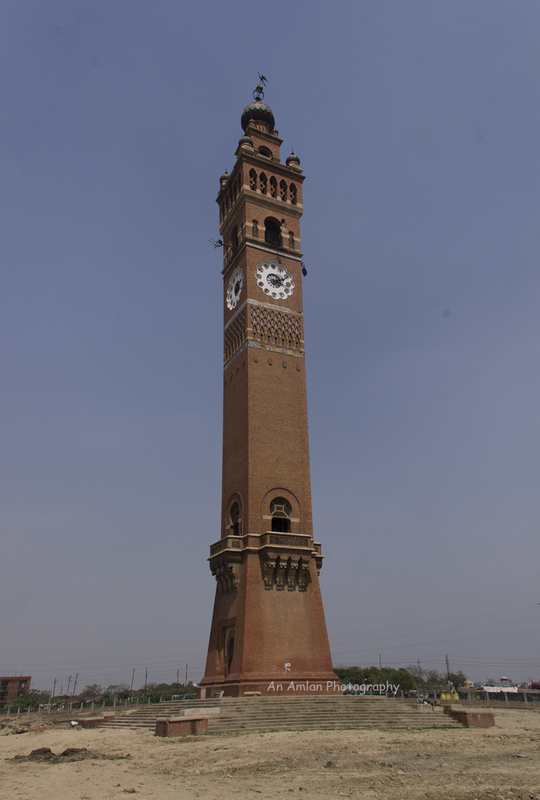 Clock Tower or Ghanta Ghar is the largest clock tower of India. It was built in 1881 to mark the arrival of Sir George Couper, the 1st Lieutenant Governor of Awadh. Nice Blog! Great Information Dear, Thank you so much for sharing. I am also write article on Rahu Kaal Today topic, it is amazing topic retated to Hindu Astrology. Dear, if you are interested please check my site mpanchang.